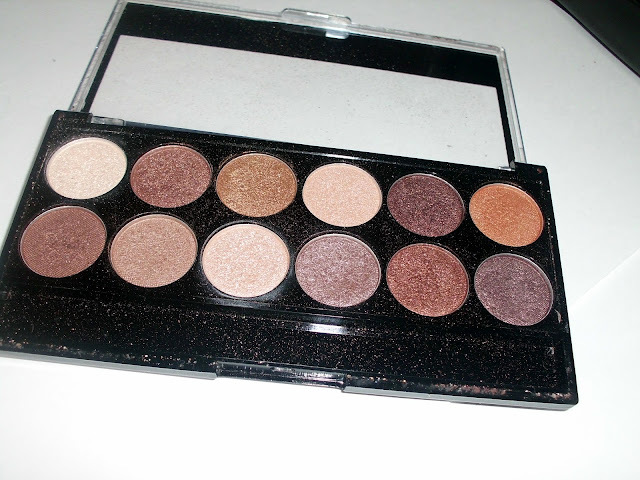 perfect-chemistry/beauty and fashion blogger/london: MUA Heaven and Earth Eye-Shadow Palette. 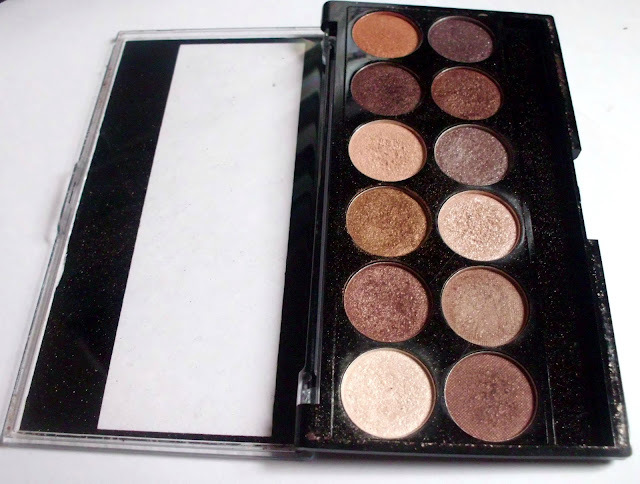 MUA Heaven and Earth Eye-Shadow Palette. 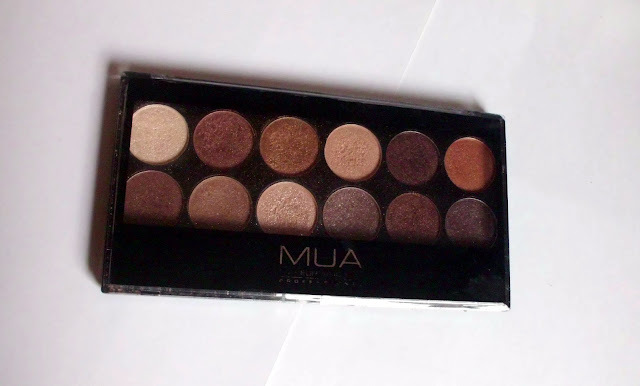 So I know that the MUA Heaven and Earth Palette came out quiet a while ago, but I thought I would give my opinions of the palette. 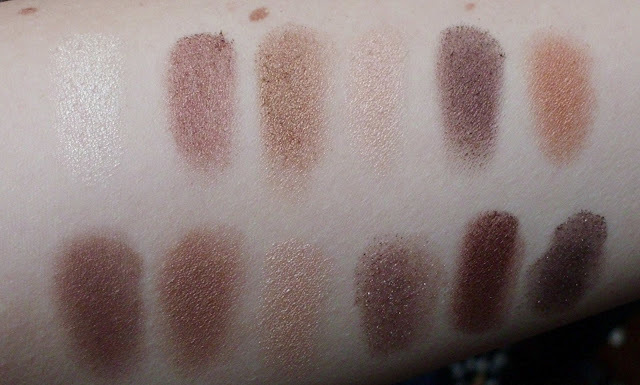 As you can see the palette is very neutral toned, containing 12 easily usable shades. What I love about this palette is that it is compact and doesn't look tacky, it's very standard and appeals to a majority of people. I've had this palette for a quiet a while now (as I'm sure you can tell!) and I've not neglected a single colour, each colour is highly pigmented and has a slight shimmer to each of them, I was surprised to find that even with the shimmer they are all easily wearable. I know that a lot of people have compared this to the Naked palette by Urban Decay, even though the Naked palette respectively has it's pros, the price is slightly high, and with the MUA palette being £4 I can see why it may be more appealing if you are on a budget. The main con that I find with the palette is that there is not a mirror inside it, however saying that at the amazing bargain it is can a girl really complain? Overall I do love this palette and would recommend it to anyone, especially if you are just getting into make-up and don't want to break the bank just yet. The MUA Heaven and Earth Palette is retailed at £4 in Superdrug's that have a MUA Professional counter. Noticed a MUA counter at superdrug and was so shocked to see how inexpensive the prodcuts are. Defnitely checking out this palette, thank you!